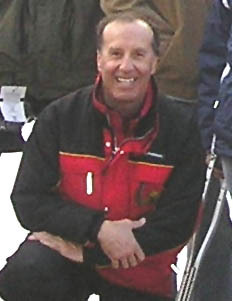 Program Director for the United States Disabled Ski Teams/United States Ski Assoc. Marc Mast is a pioneer among a growing number of outdoor recreation leaders who have decided to do something to help US military amputees. Marc is a Sun Valley Ski Instructor, the founder and former Director of the Ski School's Adaptive Program and Director of the Wood River Ability Program (WRAP). In addition to 30 years of ski instruction Marc has 27 years of experience (beginning with the Viet Nam conflict) helping wounded veterans develop new skills in outdoor recreation. Marc believes, “Amputations are physically and psychologically debilitating experiences that cause the victims to question the purpose and future direction of their lives….At first, life options are diminished, self-sufficiency is decreased and hope of developing additional freedom of movement seems non-existent”…. “Our challenge is to help disabled veterans develop a renewed vigor and excitement about their lives and ways that they can help themselves and others”.The WRAP programs Marc has designed and implemented reflect high levels of professional commitment and success. He has trained and coached one war vet amputees who are now members of the US disabled cross-country ski team and one more is on the cusp of earning a spot on the team as well as one alpine skier. The Sun Valley WRAP program has hosted six winter training camps of eight participants who have spent a week each winter developing alpine, cross-country and snowboard skills. The WRAP programs are designed to integrate vets with other people with disabilities and mainstream these activities with the able bodied community. WRAP works directly with the US Disabled Ski Team to develop a pool of athletes that can compete for spots on the Team representing the US in winter sports around the world. The WRAP successes with winter recreation encouraged Marc to expand his program to include the summer activities of white water rafting, surfing, horseback riding, fly-fishing and camping. The addition of the summer recreation activities, “Providing summer outdoor recreation experience for war wounded veterans helps them develop renewed self confidence and create new bridges of experience with their families and friends.” Inviting the whole family to play together has provided an important new dimension to the rehabilitation process for veterans, their families and friends. A number of the participants in the WRAP programs have decided to commit a portion of their life work to helping other people with disabilities develop and enjoy outdoor recreation skills and personal confidence similar to their own.